One of the best things about living in Virginia is great fall foliage. 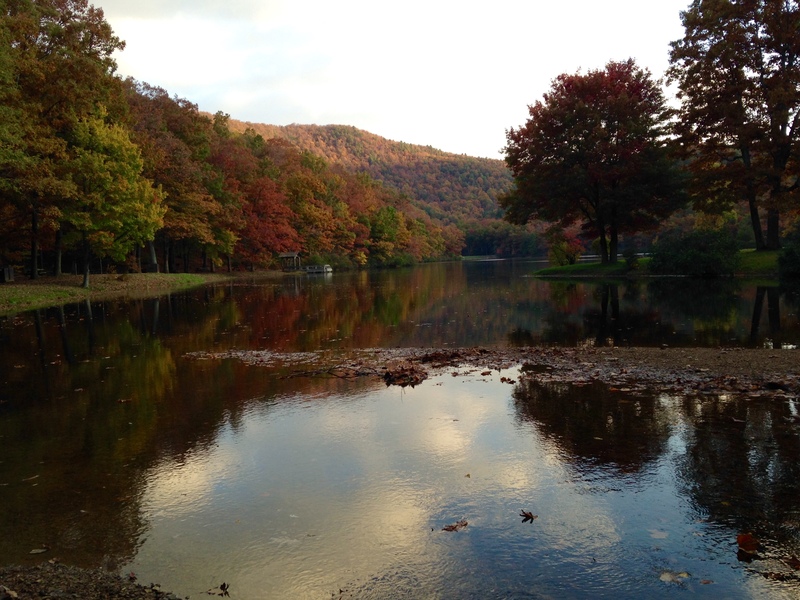 This past weekend I convinced my brother to join me for a short fall tour of central Virginia and we headed southwest to the great town of Waynesboro, Lake Sherando, Crabtree Falls and, finally, Staunton. We started our foliage journey at the Southern Kitchen, New Market’s premier dining establishment. In a move of unprecedented maturity, I ordered a grilled cheese sandwich and applesauce, because grilled cheese sandwiches are delicious and so is applesauce. My brother tried the peanut soup, apparently named one of the 25 best recipes of all time by USA Today. It was weird. Like liquefied peanut butter in a bath of warm cream and butter. 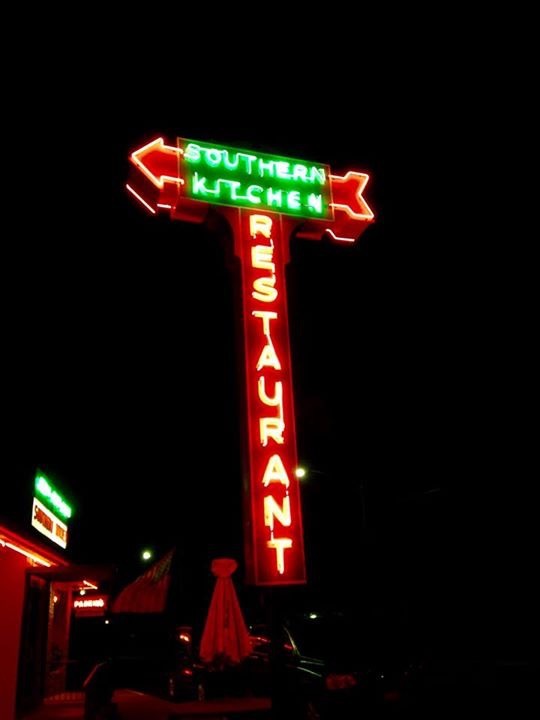 The southern kitchen definitely had that family joint/gathering place vibe going for it. It was a friendly, unpretentious, nostalgic, no frills kind of place for sure. Their place mats explain that the restaurant has been in the same family for 55 years and many of the waitresses have been working for the Southern Kitchen for over 20 years. One has even been there since opening 55 YEARS AGO. A lovely family business story, but it turns out the place is for sale. After a moderately satisfying dinner, we drove the remaining hour to our place of lodging, which was chosen NOT for its class or luxury perks (none) but for the price: $48 a night! The motel is located on the quiet end of main street Waynesboro. Actually, the whole street is quiet and unless I missed something, main street consists of one unattractive strip mall after another. Despite the fact that the Royal Inn Motel looked a little bit like the kind of place a horror film might be taped, it was good enough for a one night stay (so long as quality and personal touches mean nothing to you.) 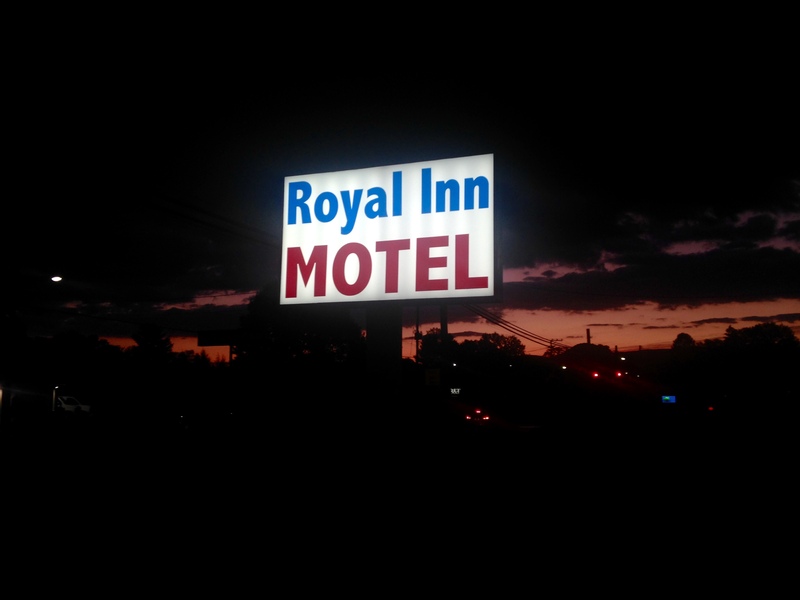 And if, like me, you find staying in a generic, slightly sad looking motel invigorating once in a while, I highly recommend the Royal Inn. Whenever I travel, I do my research. 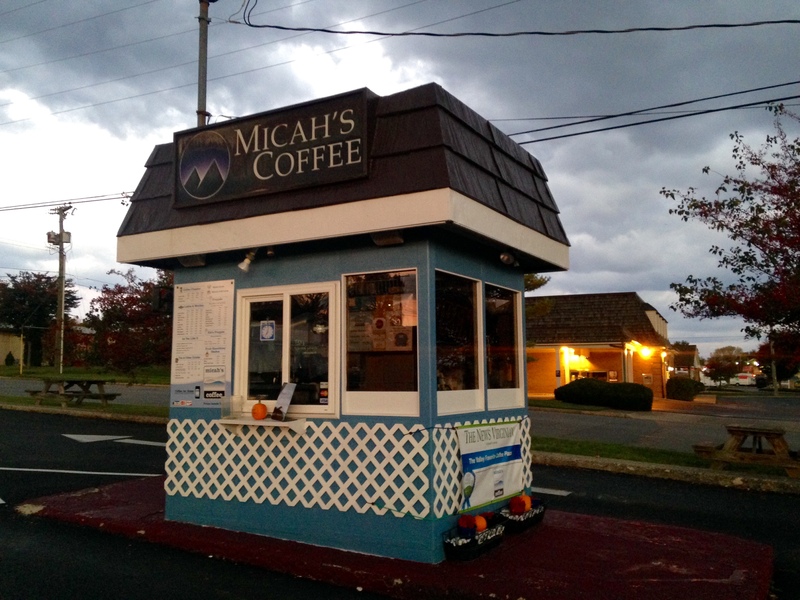 And my research told me that Micah’s Coffee is considered the best coffee spot in all of Waynesboro, a real honor, I’d say. So before the crack of dawn my brother and I set out on a mission to taste Waynesboro’s best cup of coffee but somehow, we kept driving by the coffee shop and couldn’t find it. Then, I spotted a speck of something blue in a random parking lot and it became apparent why we kept driving past Micah’s. It’s about six feet by six feet. My research said they opened at 7am on Saturdays but my research was wrong. After 20 minutes of trying to find the place, it wasn’t even open. So we had to get our morning coffee from the Shell station across the street and never had a chance to taste the best coffee in all of Waynesboro. We were feeling a bit disappointed about our morning coffee fiasco until we arrived at Lake Sherando. The fall foliage was just about perfect and it was so early (not even 8 in the morning) that the only other people at the park were fishermen who seemed very annoyed by our arrival and chatter. I guess we scared away the trout. Anyway, Lake Sherando is a small, picturesque lake in the George Washington National Forest and a great spot for a peaceful morning walk. I loved it and would definitely recommend a stop for anyone in the area. This scene may look beautiful, but it nearly cost me my life. My brother and I were in a wandering kind of mood so we decided to follow the signs for “Rock Overlook.” It was only 0.4 mile away which seemed reasonable enough and I like scenic overlooks, so we began our upwards journey. One lesson I learned yesterday was that 0.4 miles may not be much when you’re walking on flat ground, but 0.4 miles is a real struggle when its a steep, uphill ascent and you are not exactly in the greatest shape. I’d like to say I remember the view and I’ve already forgotten about how hard the climb was, but that would be a lie. The struggle was real, but I guess it was worth the picture. Then we hit the road again and there’s nothing I like more than a good road trip. We took the Blue Ridge Parkway to Crabtree Falls and stopped for a few overlooks and vistas along the way. I was feeling especially satisfied and proud of Virginia’s Appalachian beauty at a particular overlook but all this pride was quashed (is quashed a real word?) by an elderly French Canadian in Khaki pants and a vest. I remarked on the beauty of the vista and he said, “This? This is ordinary. 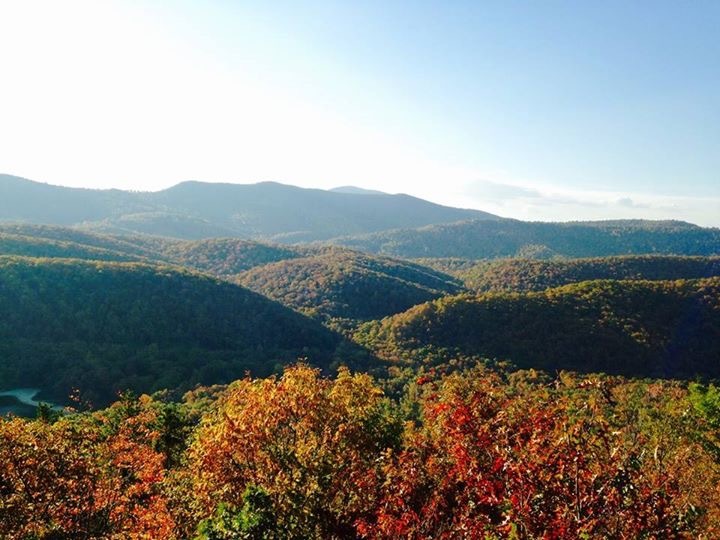 Yes, it’s beautiful and everything, but the views in Tennessee and North Carolina are truly spectacular. Once you pass Roanoke the vistas are really impressive.” Way to put a damper on my Virginia fall foliage experience, old man. By the way, this picture is just a barn my brother and I liked, not a scenic overlook. 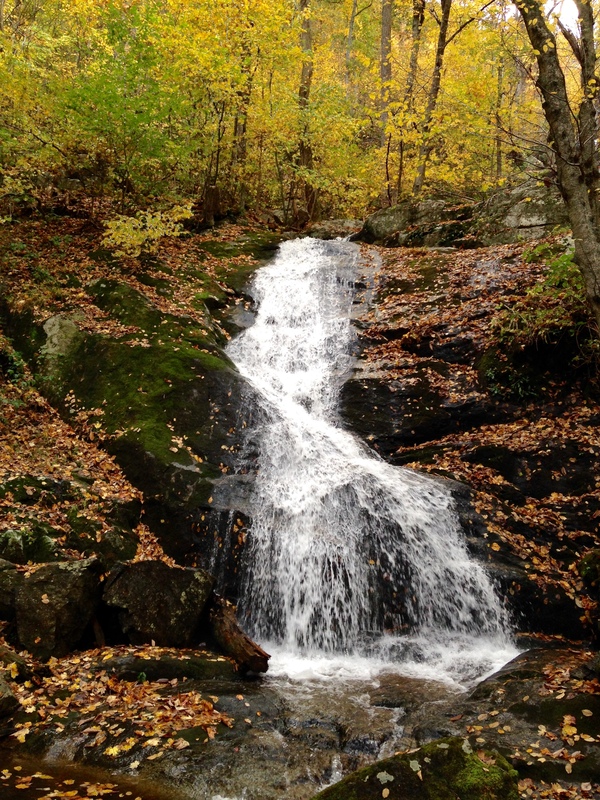 Crabtree Falls are apparently the tallest falls east of the Mississippi (some say 1,200 feet, others say 1,000). It would have been a two-mile hike to the top of the falls from the parking lot and we were meeting my family in Staunton at 12:30, so we stuck to the first overlook. Plus I could barely handle a 0.4 mile uphill hike so I’m pretty sure two miles would have actually killed me. The falls were pretty but so overrun with tourists that I didn’t feel the same nature-magic I did at Lake Sherando. If I come back here, I’ll probably go early in the morning before the crowds arrive. We met up with my parents, grandma and aunt in Staunton, a cool little mountain town with lots of antique shops, art galleries, theaters and kitsch shops. We had lunch a Byer’s Street Bistro (pretty good, typical pub fare) and did a bit of walking and shopping. 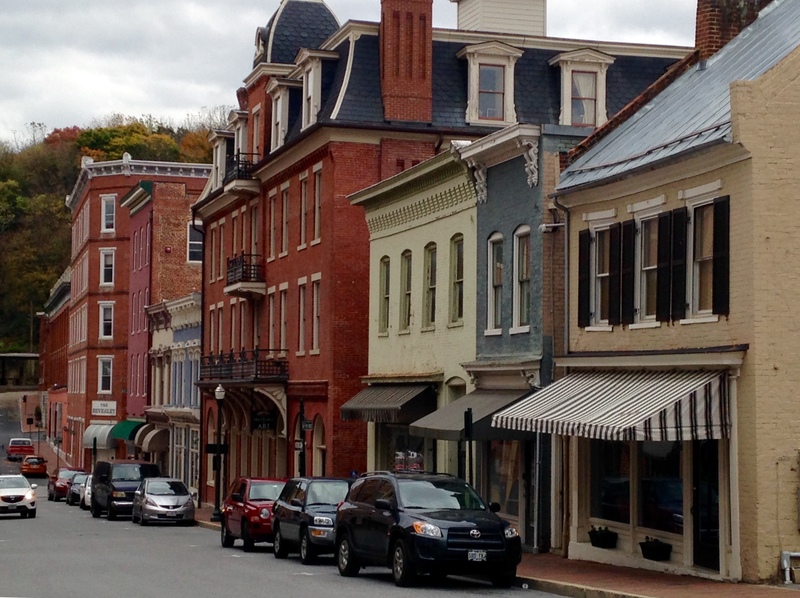 If Waynesboro is a humble and decidedly un-charming kind of place, Staunton is its more worldly and uppity cousin; a small town with plenty of charm and culture for a place its size. This is probably helped by the fact that the town is home to Mary Baldwin College and James Madison and UVA are each just a 20-40 minute drive away, so lots of professor types here. We ended our trip at the Thornrose Cemetery at the edge of historic downtown. 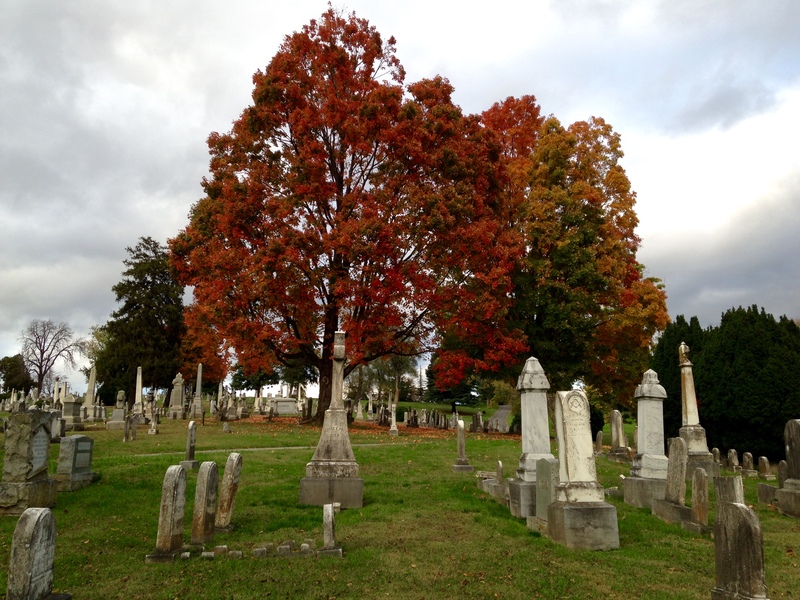 It’s a sprawling, historic cemetery and is a good spot for a peaceful (if slightly morbid) evening stroll. Plus, check out those beautiful trees! Yes, I was just thinking that I haven’t been in a generic, slightly sad looking motel in a while … I swear I took a photo of that same barn in the 80s. It can’t be, but it sure looks like it. Great shots. You are missing out! Nothing like one star motels. 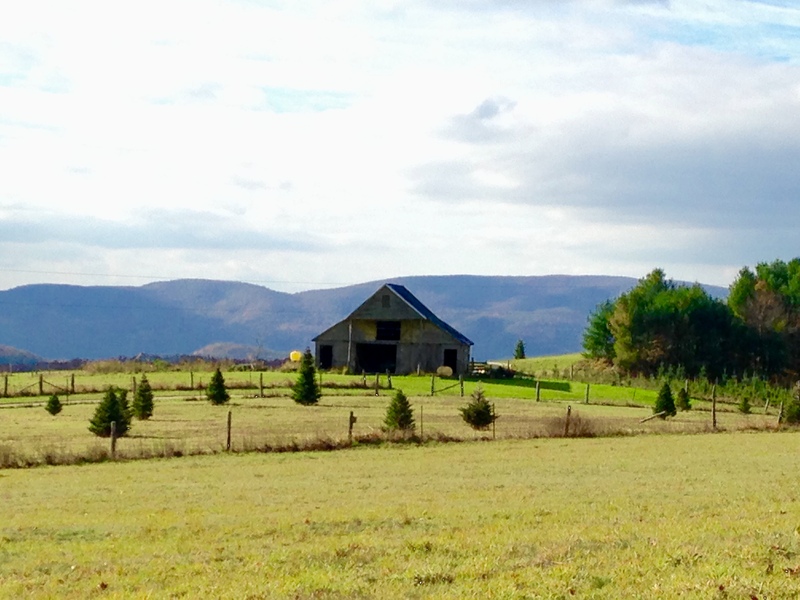 Could be the sane barn…right off the blue ridge parkway! I don’t like to intrude on the roaches. They always demand tips. It was great! The falls werent that great!